Albion defender Shane Duffy hopes it will be third time lucky when the Seagulls host Manchester United tomorrow evening. Brighton have played United twice at Old Trafford this season but despite strong performances they lost 1-0 in the Premier League in November and 2-0 in the FA Cup quarter-finals in March. The Seagulls battled to a hard-fought 0-0 draw away to Burnley on Saturday and would secure their Premier League safety with victory over United at the Amex. Albion are five points clear of the relegation zone and, looking ahead to the visit from Jose Mourinho’s side, Duffy feels Brighton can take confidence from their 2-1 home win over Arsenal and 1-1 draw with Tottenham. He said: “Hopefully it’s third time lucky. We’re realistic and know it’s going to be a battle, it’s going to be tough but on our day we can beat anyone at the Amex, which we’ve seen. “They’re one of the top teams and on their day can turn you over, so we’ve got to be switched on. But at the Amex we’re a different force with the fans behind us. We’ll try to do what we did to Arsenal and Tottenham. “We’ll have to defend for large periods and we’ll have to take our chances but there’s nothing to fear. 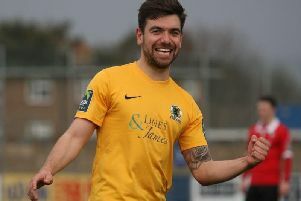 Defender Duffy said Albion would not take safety for granted but admitted the five-point gap to the relegation zone was a good cushion with just three games to go. He said: “It’s nice to have but you’ve got to think they (the teams below Brighton) have got to win their games and it’s hard in this league to win games. “If you’d asked us at the start of the season to be five points clear now, we would have snapped your hand off. Everyone is fighting for points but we’d be a bit unfortunate to go down with 37 points if that’s what we finish on.